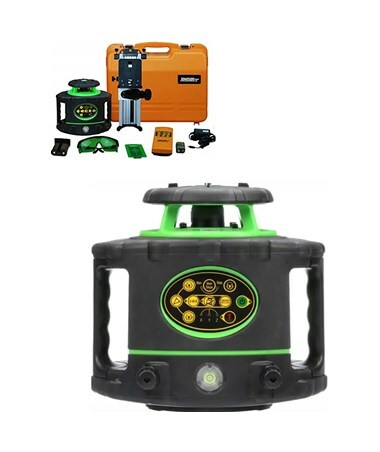 With 400% more visibility than red beam lasers, the Johnson 40-6546 Green Beam Electronic Self-Leveling Rotary Laser features a GreenBright technology which is designed for indoor and outdoor applications. 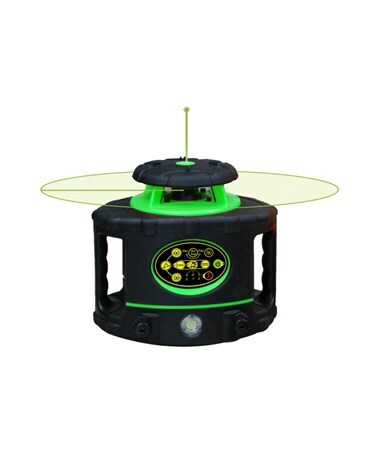 Electronically self-leveling within ±5 degrees, it can operate up to 400 feet interior range and up to 1,400 feet with a laser receiver. 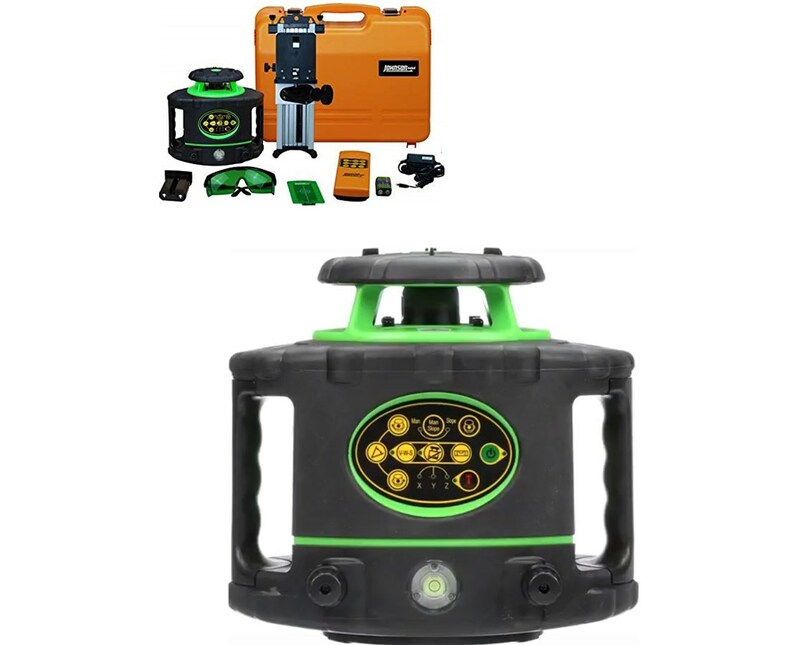 Also, it offers an accuracy of ±1/16 inch accuracy at 100 feet and features horizontal and vertical self-leveling. This Johnson Level rotary laser provides an electronically-controlled dual slope feature. For precision, it has three rotation speeds - 0, 300 and 800 rotations per minute. Plus, it offers three scan angles - 0, 10, 45, 90 and 180 degrees. 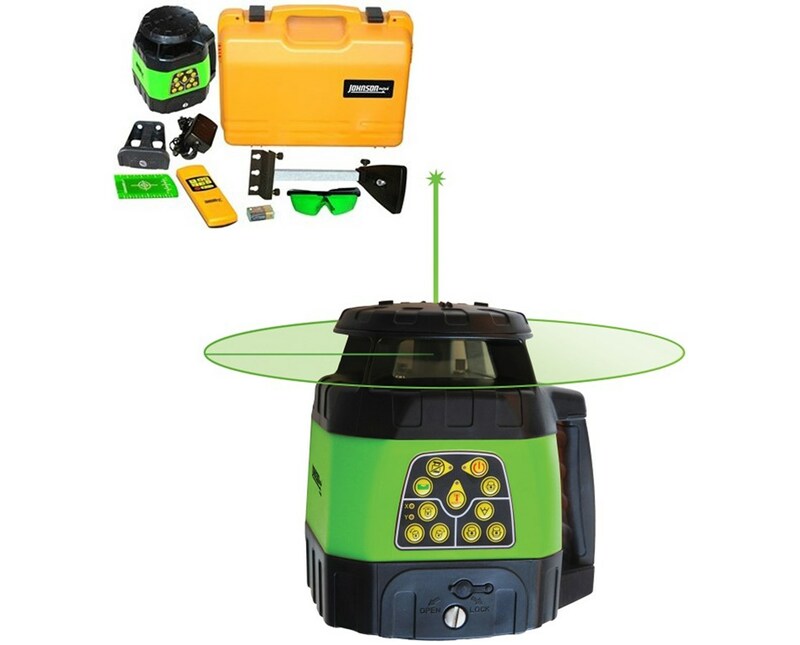 To ensure product accuracy and reliability, it features a tilt alarm and visual and audible alarms. Having an IP66 rating, this rotary laser level is dustproof and water resistant. It can operate up to 25 hours with Li-ion rechargeable batteries and up to 16 hours alkaline batteries (batteries not included). In addition, it has a 5/8-11 tripod thread that is compatible with most tripod brands. 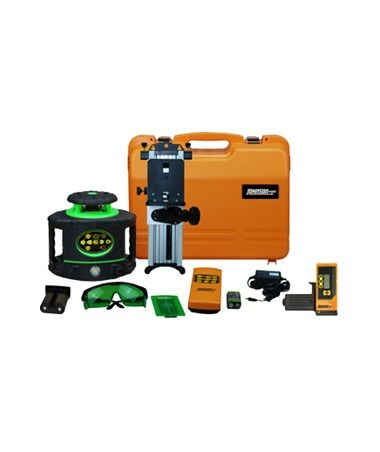 The Johnson 40-6546 Green Beam Electronic Self-Leveling Rotary Laser has two available packages with an optional laser receiver. Please choose from the drop-down menu above. 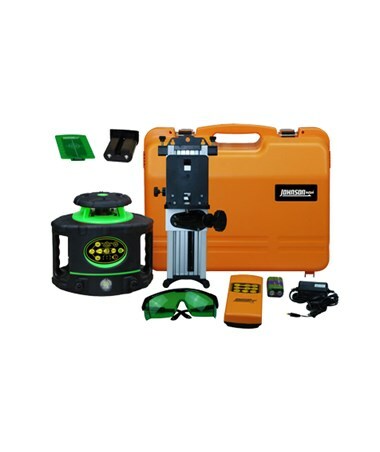 This package includes a laser receiver which helps increase the leveling range of rotary lasers. Also, it can be used for indoor and outdoor applications.